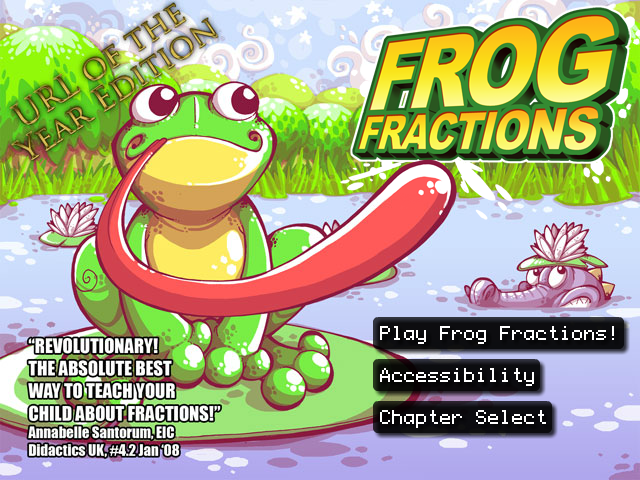 Frog Fractions is an epic journey masquerading as an edutainment game. I played this blind on my stream for eleven fifths of an hour, and it was a trip. Sure enough, by the time I was done, I had gotten better at investing money based on how flammable my warehouse is. The only proper way to play this game is with at little prior knowledge as possible, so just play it now and look stuff up later.